December is a great time to explore the Lake Tahoe region and sample all of its festive offerings. Young and old, local or visitor, athletic or not, there’s a little something to get everyone in the holiday spirit. Plan an epic holiday shopping day in Truckee with a little insight from the California 89 Staff Picks. 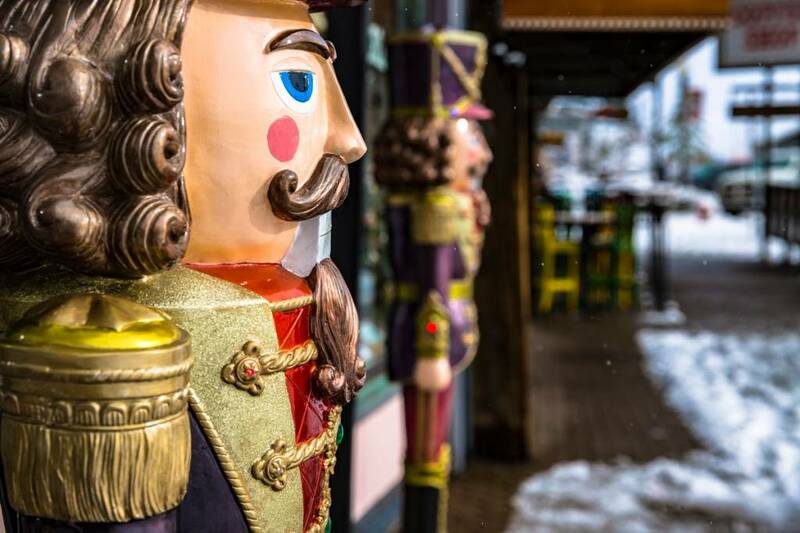 You can find gifts for everyone on your list in historic Downtown Truckee. The stores range from clothing boutiques and jewelers to home goods, galleries and sporting goods stores. Keep yourself warm and toasty with coffee, tea or cocoa from one of Truckee’s best coffee houses. 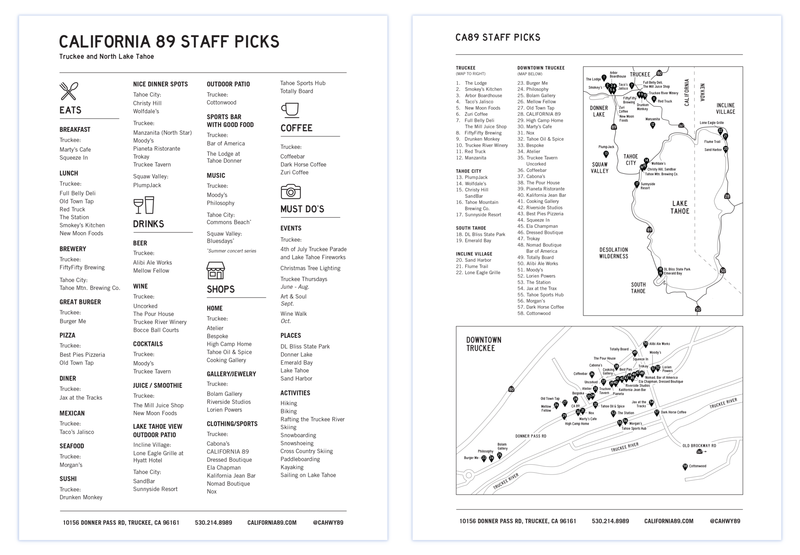 The California 89 staff has compiled a list of some of their favorite places just for you! The Lake Tahoe area has a little holiday fun for everyone. There’s the obvious choices like skiing at one of Tahoe’s epic resorts, but there are lots of other options for the non-skier. Spend the day exploring Apple Hill while choosing the perfect tree or get your adrenaline pumping at Tahoe City Winter Sports Park. Holiday performances range from classics to reimagined versions of old favorites. Many Tahoe ski resorts have transformed their villages into winter wonderlands complete with Santa, ice skating, photo-ops, holidays sweets and treats. One of my favorite ongoing events is Festive Fridays in historic Downtown Truckee. Every Friday leading up to Christmas during December the shops are open later, the vibe is cheery and parking is FREE after 4pm! It's the perfect start to December weekends. Participate in scavenger hunts and savor holiday sips and sweets at participating businesses. Enjoy caroling and gift wrapping made possible by local Girl Scouts and Victorian Christmas performances by a local school. Here are a few holiday events I won’t be missing this December. Subscribe to our mailing list and get a 15% your next order!